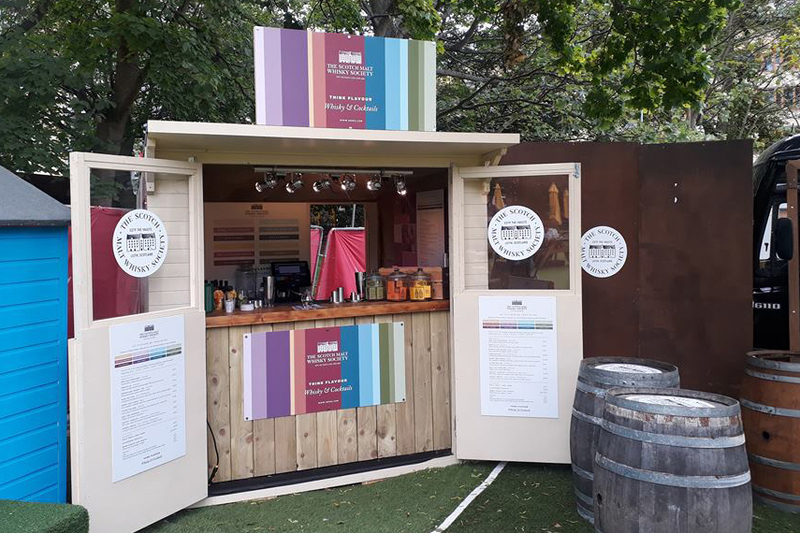 The Scotch Malt Whisky Society (SMWS) is pleased to present the brand new Kaleidoscope pop up bar running during the Edinburgh Festivals. Head on down to find the team at the Assembly George Square until 31 August every day, noon til late. Offering a selection of drams, cocktails and spirits the Kaleidoscope pop up bar is an ideal spot to stop and enjoy the festival atmosphere. An absolute must for any visitor to the Edinburgh festivals, the Assembly George square is an open air garden packed full of food and drink pop ups. One of the busiest spots in town, the venue is right in the middle of the old town – ideal for a quick bite and drink while hopping between shows. For more information about the SMWS, please visit the website.